This could be a recipe for success … or disaster. But you know how Khloe Kardashian is pregnant with Tristan Thompson’s baby? For the longest time, it seemed like Khloe Kardashian just couldn’t get pregnant. As it turns out, Khloe’s uterus wasn’t to blame for all of that. Recently, Khloe strongly suggested that Lamar Odom is sterile when confronted about getting pregnant now despite past storylines making her seem barren. Tristan Thompson sure isn’t firing blanks, though. Kylie is pregnant and will become a mother at age 20. Kim is pregnant via surrogate and is set to welcome her third child into the world. Khloe is pregnant at an appropriate age, but this will be her first. Like any mother about to see one of her children give birth for the first time and about to get another grandchild, Kris Jenner must have been over the moon. Specifically, she was excited about all of the fun ways that she could use this good news … to rake in more dough. RadarOnline reports that Kris has something very specific in mind in terms of monetizing Khloe’s pregnancy. Specifically, Khloe would get her own miniseries. Unlike Kocktails With Khloe, which reportedly ended because Khloe was losing interest in doing it, this is a series that would have a limited run by its very nature. Like … you can’t renew a pregnancy. That makes us wonder … is Khloe planning on raising her child in Cleveland? No shade, but … we’ve never spoken to any Ohio natives who were glad to have grown up there. Is that really how demographics work? Like, surely it would be the same people watching. Plus maybe a few folks in Ohio keeping an eye out for familiar landmarks. And maybe some sportsball fans who want to see Tristan Thompson, we suppose. Overall, RadarOnline‘s source says tht Kris Jenner’s excitement is immeasurable. Kris will certainly love her new grandchildren. Like, in the way that a grandmother loves her grandchildren. And that’s not in any way diminished by how excited she must be for the ways that this news can influence her family’s businesses. Because she’s definitely going to use these future little bundles of joy to get bundles of dough. She already cashed in pretty famously on the births of Kourtney, Kim, and even Rob’s babies. To be clear, we do not mean any of what we’ve said about Kris here in a critical manner. 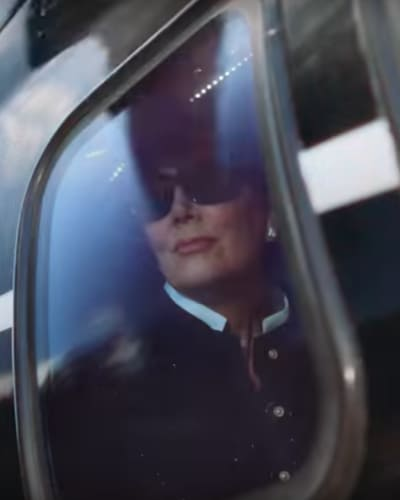 Kris Jenner is amazing and, quite frankly, a role model. The Momager can use infamy, “bad” publicity, scandals, and outright hatred to her advantage and she’s turned her family’s existence into a media empire that’s spawned multiple wildly successful businesses. That means that not only is she incredibly wealthy — even more so than she was before — but her children are all extremely rich. Which sets up her grandchildren to all one day be rich themselves, with endless opportunities before them. Isn’t it every grandparent’s dream to be able to do something like that for their offspring and grandchildren? That’s a powerful, admirable legacy. The Bachelorette Preview: Blood! Tears! Infidelity! Gwen Stefani on Gavin Rossdale Split: You Have NO IDEA What Happened! Previous story Meghan Markle: Did She Cure Kate Middleton of Morning Sickness?